Tonga is well prepared to build facilities for the Pacific Games 2019 and host a test match against Wales despite concerns. 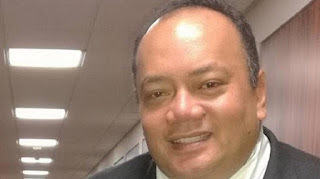 The government now has money and there is a contingency budget for the constructions, Deputy Prime Minister Siaosi Sovaleni told Letio Broadcom Broadcasting yesterday. Mr Sovaleni was responding to an interview with the radio over the reconstruction of the Teufaiva Stadium Park. The Deputy Prime Minister (DPM) said the government was in the process of finalising a deal with an overseas company which has a local partner to reconstruct the national stadium. He says the construction company has presented its paper work and it shows that they did big projects including renovating the stadium in Samoa for the Manu Samoa tests with the All Backs last year. “The government is happy with their construction proposal”, Mr. Sovaleni said. He is optimistic the construction could be finished before the ‘Ikaletahi test with Wales in June. “The construction works could start this month”, he said. Mr Sovaleni said works for the Teufaiva stadium would follow a sequence of work-phases which was planned to be completed over a period of time after the rugby tests. His response came after concerns Tonga could not host the Wales test because of lack of works started to rebuild the Teufaiva stadium. Wales Rugby Union CEO Martyn Phillips said in reports earlier this month “There are still some things to iron out with Tonga” and “the stadium infrastructure is not in place so we are meeting with World Rugby again”. Mr Sovaleni said the government struggled to find a suitable construction company to do the project since last year. “They finally found one yesterday (Tuesday) ”, he said. New Zealand government has donated NZ$2 million for the construction of Teufaiva stadium. Tonga’s Prime Minister ‘Akilisi Pōhiva told Parliament last year he doubted whether Tonga could host the 2019 South Pacific Games. However the DPM said the condition of the overall preparation for the 2019 Pacific Games is “satisfactory” and they could be completed before 2019, he said in Tongan. Mr. Sovaleni said the Papua New Guinea government’s promise to help fund the Games still stands. The Papuans would start their projects after ‘Ikale Tahi tests with Samoa and Fiji in Tonga in July, the DPM said. He said a team from China will arrive in Tonga in March to “finalise detail designs” for Games facilities planned to be constructed at the Tonga High School complex. He said construction works on that projects would start in June.